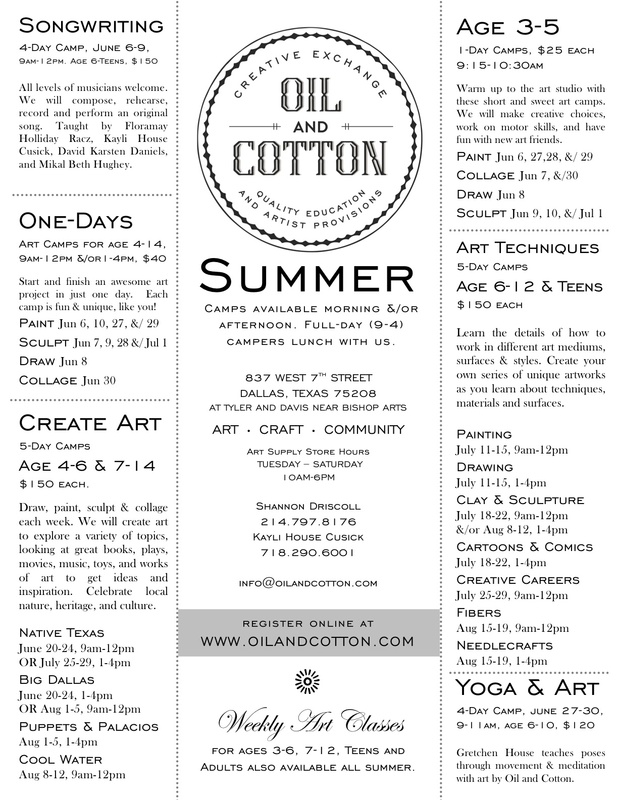 Oil and Cotton: Summer Camps are Here! Specialty Camps for ages 6 & up in Songwriting, Yoga & more! Camps available morning &/or afternoon all summer long. Full-Day (9-4) campers can lunch with us. Supplies included. Siblings receive 10% discount (use code SIBLING when checking out online). 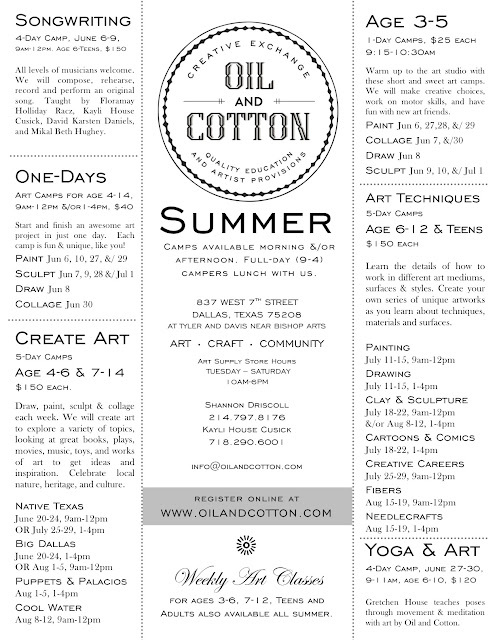 Click Here for Summer Camp Schedule and Registration!! !